Evaluating the minefield of task management software and BPM software, and attempting to figure out which is the best fit for your organisation is a headache you can do without. Here we provide an overview of each and recommend an alternative to help you make that all important decision. Task management software is concerned with managing your team’s workload. It takes more of a project outlook, focused on how to keep the team on track and get people to work faster towards their goals. Task management software takes a very top-down approach where you can set the workload for the team and then watch as the work is completed. The trouble with task management software is that work isn’t always about driving efficiency and productivity. While these benefits are important, for an SME there are softer, more beneficial attributes that are closer aligned to scaling an organisation: improving collaboration, motivating your team through empowerment, and using the collective experience of your workforce to continuously improve your organisation. BPM software enables you to model, implement, execute, monitor and optimise the processes in your business. When compared to task management software, it’s a more comprehensive, robust solution that is greater than project management alone. However, a lot of the tools currently available on the market are aimed at enterprise players, so they integrate more complex workflow and functionality, such as modelling, methodologies and automation. For most SMEs, it’s a bit overkill. We just want to be reassured that processes are running the way we want, and that the team has all the information they need to do their job. And for the BPM software that has been designed with SMEs in mind, the functionality still isn’t there. The systems have been built to control users with best-practice in mind, rather than reflecting how process works in the real world and then empowering users to make continuous improvements. So if task management software is too focused, and BPM software too complex, what’s the alternative? 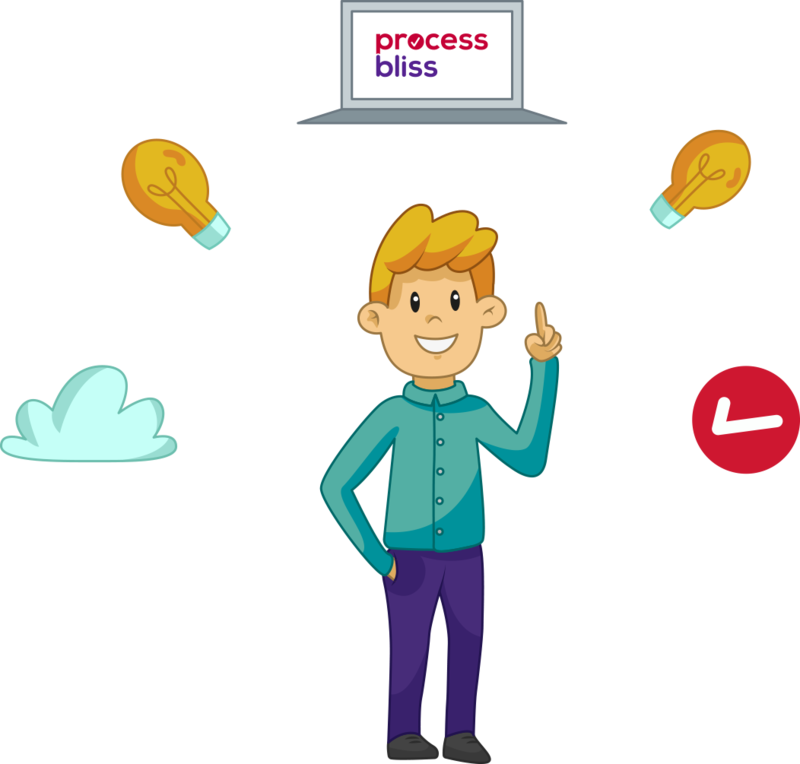 We believe there’s a third option that sits between task management software and BPM software called ‘process enablement’. In reality, tasks are just a series of steps. The two interrelate so it doesn’t necessarily make sense to pick a system that does one or the other. There may be occasions where you’re completing one-off activities (e.g. review the marketing brochure before it goes to print), in which case, a simple to-do list will suffice. But often, these activities are part of a bigger process (e.g. create a new marketing brochure), so it makes sense to align the two. 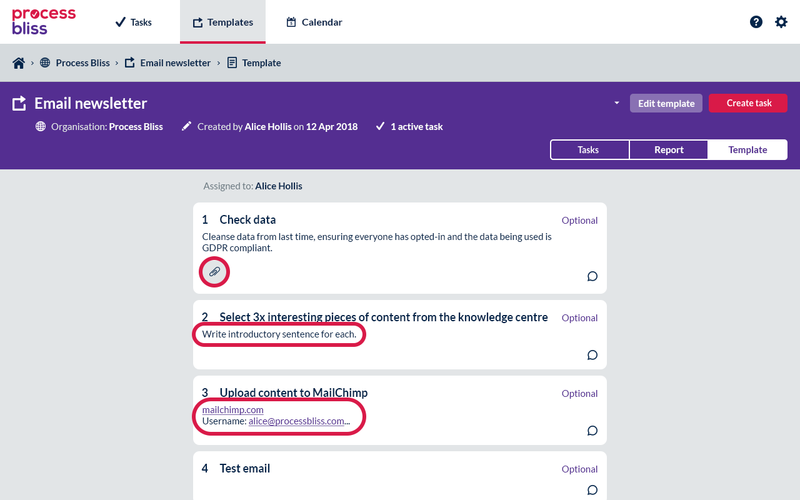 Process enablement gives you greater visibility over your processes and the steps within them, keeping all your information in one place so it’s easy to share across the business, and then recording when things have been done so you have an audit trail for future reference.